Explanation: Each moon of Saturn seems to come with its own mystery. Rhea, Saturn's second largest moon behind Titan, shows unusual wisps, visible above as light colored streaks. Higher resolution images of similar wisps on Dione indicate that they might be made of long braided fractures. 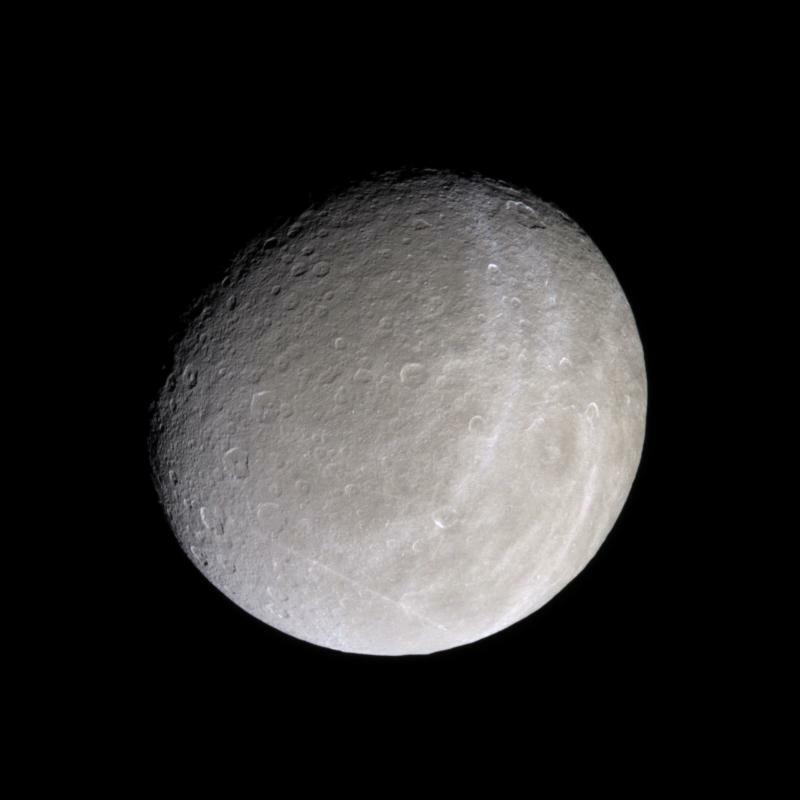 Rhea is composed mostly of water ice, but likely has a small rocky core. Rhea's rotation and orbit are locked together, just like Earth's Moon, so that one side always faces Saturn. A consequence of this is that one side always leads the other. 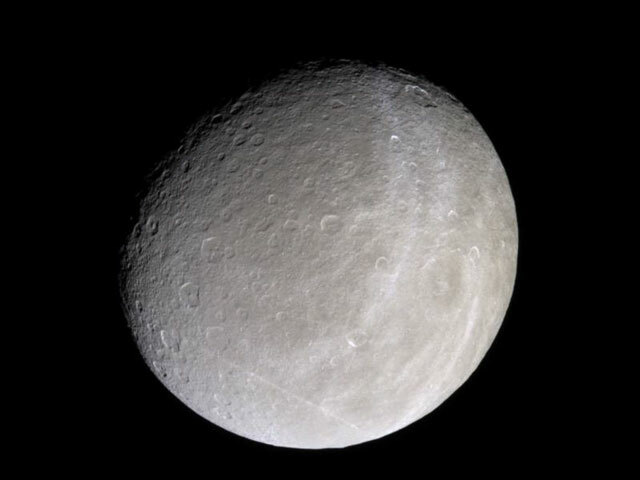 Rhea's leading surface is much more heavily cratered than the trailing surface, pictured above. The above image in natural color was taken last month by the Cassini robot spacecraft in orbit around Saturn.